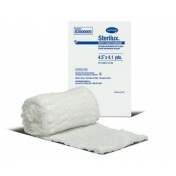 Hartmann 56910000 Sterilux 4 x 4 Inch Gauze Sponge 12 Ply is made using woven gauze, creating a soft gauze sponge that's easy to access, use and provide support against the wound if needed. 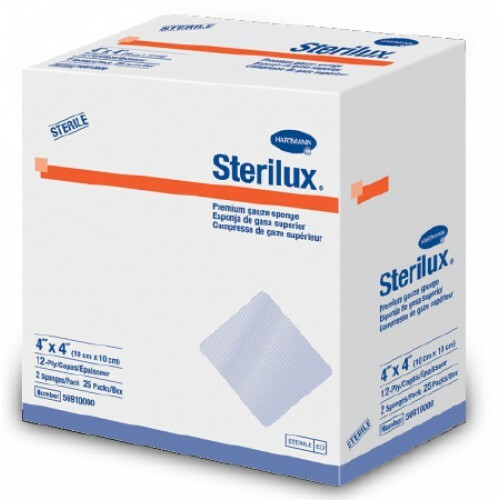 The sponge is made with 100 percent woven cotton for better coverage against the skin and can be used in combination with wrappings to create a better environment. 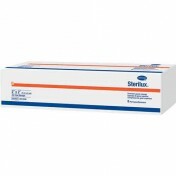 Each sponge is available individually wrapped for sterility and tears away for faster access to the gauze. The Gauze Sponge can cover up to 16 square inches of space, is square shaped and can be used with other wrappings for added security. 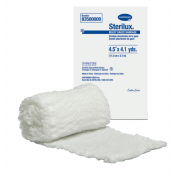 The sponges can be used as a wound dressing, debriding of wounds, packing wounds, covering, swabbing and other general care.